Smart, reliable, and secure networking at all levels is the focus for this year’s edition of the world’s leading trade fair and conference for electronics, to be held on November 13–16, 2018, in Munich, Germany. This time round, electronica will be going way beyond the presentation of relevant components, systems, applications, and solutions. In addition to 17 halls, 13 forums, and four conferences, there will be a wide range of innovations on show. Exhibitors, visitors, established industry players and start-ups, not to mention employers and new talent, will therefore have extensive opportunities for making contacts and networking. Over 3000 companies from more than 50 countries will be present to provide a glimpse of the future with their products and solutions. electronica 2018 will be larger than the previous event, with more than 180,000 square meters of space spread across four halls. 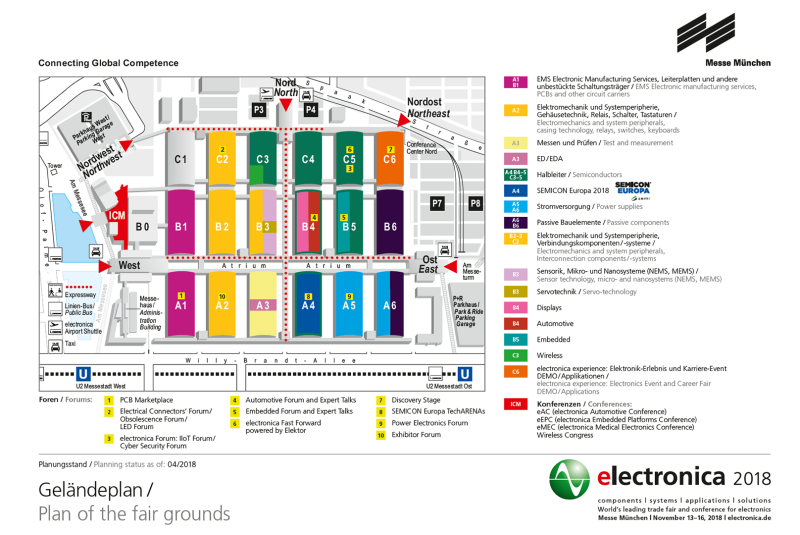 Visitors to the trade fair will benefit from four additional halls, which means there will now be a new hall layout. Five entrances, color-coding in the halls, expressways, and the visitor shuttle together with indoor navigation via the electronica app will aid navigation. There will be four conferences and 13 forums at the trade fair to facilitate networking and knowledge exchange. Digital support for further networking between exhibitors and visitors, as well as among visitors, will also be provided in the form of the classic electronica Matchmaking and the new electronica Connect tool. There will also be even more opportunities for networking, inspiration, and experience thanks to the new formats, electronica Experience and North by North East (NxNE). There will also be even more opportunities for networking, inspiration, and experience thanks to the new formats, electronica Experience and IMPACT—Design for a Cause. The new hall C6 will give visitors the opportunity to get to grips with electronics, as well as showcasing career opportunities within the electronics branch. electronica Experience will feature live demos, applications, and presentations, as well as a job market, to facilitate networking between exhibitors, students, and school pupils. IMPACT—Design for a Cause will also be taking place as part of electronica Experience. The event, which will feature engineering associations Hackster and Element14 among others, will look at the future influence of electronics on communication, the environment and medicine in pitches, presentations, and discussion panels. 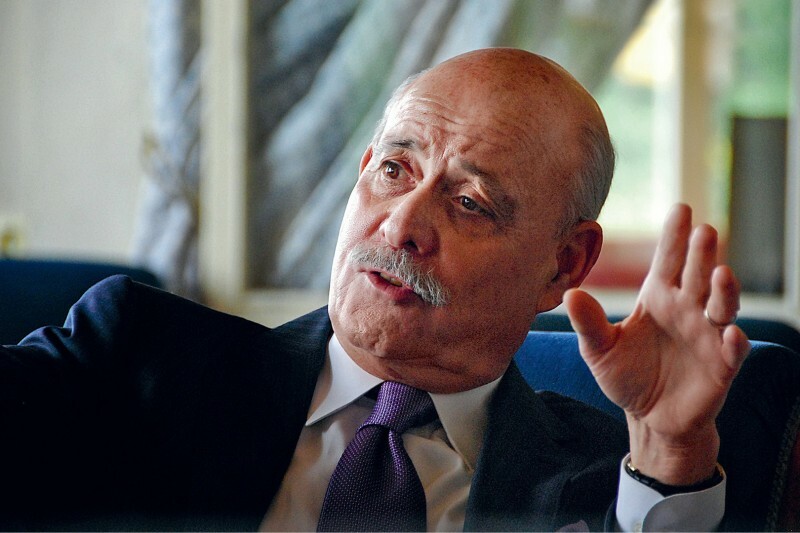 In his works “The End of Work,” “The Third Industrial Revolution” and “The Zero Marginal Cost Society,” US social theorist, Jeremy Rifkin, not only identified current developments in the economy and society at an early stage, he also touched on the global networking of industrial and social processes in the “Supergrid.” Jeremy Rifkin will open electronica with a keynote speech on the evening of Monday, November 12, before opening the new electronica Experience with a talk on Tuesday, November 13.